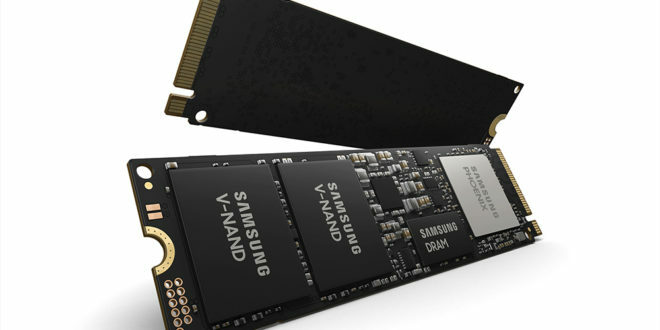 Samsung has introduced the 970 EVO Plus, the newest enhancement in its Non-Volatile Memory Express (NVMe) SSD portfolio. With up to two terabytes in capacity, Samsung says its 970 EVO Plus “sets a new bar for high-performance storage”, enabling IT professionals, tech enthusiasts and gamers to handle intensive workloads on PCs and workstations with more ease. The 970 EVO Plus achieves up to 57% in write speed – as well as increased power efficiency over its predecessor, the 970 EVO. The new drive delivers sequential read and write speeds of up to 3,500 megabytes per second (MB/s) and up to 3,300 MB/s, respectively, while random speeds come in at up to 620,000 IOPS for read and up to 560,000 IOPS for write operations.